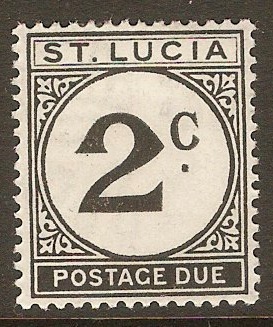 St Lucia 1949 2c Black Postage Due. SGD7. Mounted mint 1949 2c Black Postage Due. SGD7. 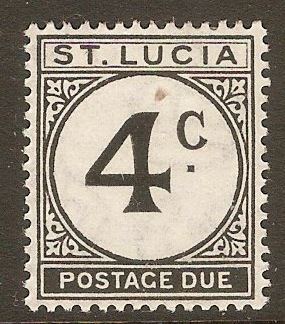 St Lucia 1949 4c Black Postage Due. SGD8. Some damage 1949 4c Black Postage Due. SGD8. NOTE: Stain above 4. 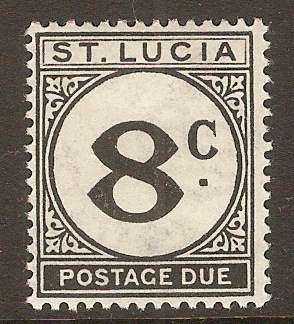 St Lucia 1949 8c Black Postage Due. SGD9. Mounted mint 1949 8c Black Postage Due. SGD9. 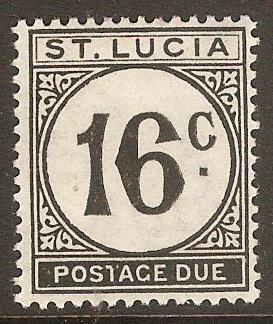 St Lucia 1949 16c Black Postage Due. SGD10. Mounted mint 1949 16c Black Postage Due. SGD10. 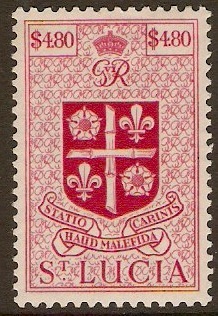 St Lucia 1937 Coronation Stamp Set. SG125-SG127. Unmounted mint 1937 Coronation Stamp Set. SG125-SG127. 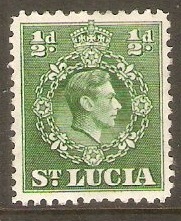 St Lucia 1938 ½d Green. SG128. Lightly mounted mint 1938 ½d Green. SG128. Used 1938 ½d Green. SG128. 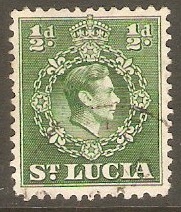 St Lucia 1938 ½d Green. SG128a. 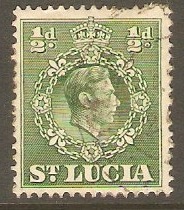 Mounted mint 1938 ½d Green. SG128a. Perf 12½. Used 1938 ½d Green. SG128a. Perf 12½. 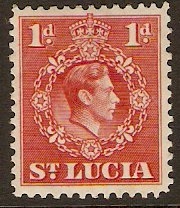 St Lucia 1938 1d Scarlet. SG129b. Lightly mounted mint 1938 1d Scarlet. SG129b. King George VI definitive stamp.